What do you do? How did you get started doing that? I work as a freelance illustrator full-time, as well as a comic book artist full-time (phew). I do illustration for publications, corporations, and advertising. My comic work is both self-published and for my graphic novels, published by FSG. First comic I read? Sunday comic strips, and then Archie comic digests. My cartooning still has traces of Archie, the good old classic Archies. They are full of problems and Archie is a terrible role model for kids, but I still loved the simple world they created, the predictable characters (especially Jughead), and the silly hijinks. 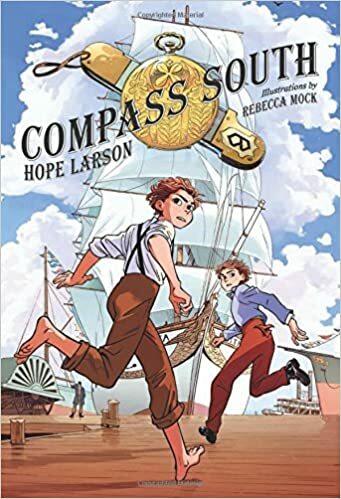 My first graphic novel, Compass South, written by Hope Larson, will be released this June. You can find it in stores! Favorite inspiration, collaborators, other professionals you’ve worked with, if any? Hope Larson, my collaborator on Compass South and its sequel Knife’s Edge, is one of the most amazing people I’ve ever had the honor to work with. Even before we worked together she was an inspiration, she’s a great storyteller. 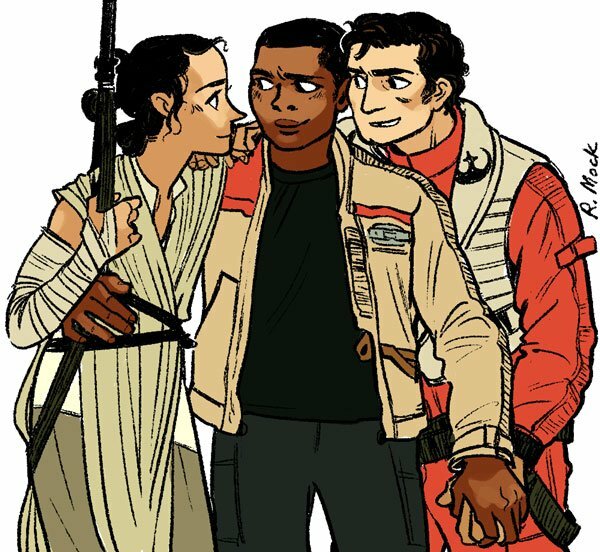 I’ve always loved comics but I’m shy about writing my own stories, but I love bringing other peoples’ stories to life, and it has been Hope who has helped me hone my skill at this! I’m also currently working with the indie game company Fullbright, and it has been a true pleasure. Another long-held passion of mine is gaming, but I never considered myself the video game artist type. But Fullbright has a unique voice and eye for detail, and their patronage has given me the opportunity to grow as an artist. I would like to work in the animation field, someday, as a background artist or something else. It would also be a treat to work for Archie Comics at some point, to bring everything full circle. I like science fiction, but I don’t read as much as I watch. Kid’s sci-fi like Power Rangers has always been a favorite. I like superhero cartoons a lot too. But as much as I like them, I don’t think I’d jump at the chance to work in superhero comics, unless it was something original. I’m lucky to have been mostly mentored and helped by other women, so I haven’t run into too much adversity. I’ve had some male clients or bosses over the years who’ve belittled, infantilized, or tried to take advantage of me because I was something lesser to them. I was older than I should have been when I learned I didn’t have to put up with this behavior. I wish more feminist ideals had been drilled into me in my youth. Why is sexism something that we only “discover” when we’re adults, when it’s something that’s been ingrained in us since childhood? Similarly, have you faced any opposition for your gender at conventions etc.? I’ve had my fair share of dealings with con creeps, but again, I’ve been fortunate to escape the worst of it. When I got to hold a copy of Compass South in my hands, they were shaking a little, and I teared up. It was incredible to touch and see (and smell) a book I’d drawn myself. I felt very proud and relieved. 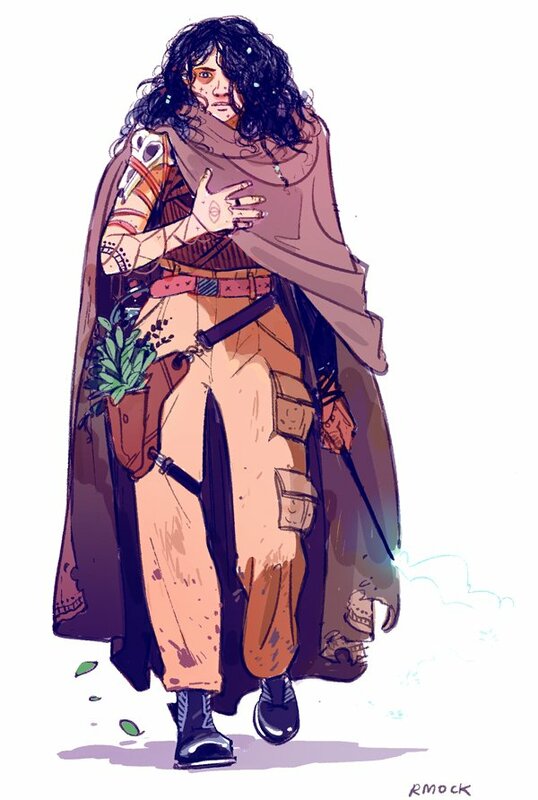 There’s a sci fi comic series called Finder written and drawn by Carla Speed McNeil, full of great female characters. One of my favorites from that series is Rachel Grosvenor, who we watch grow up and who’s constantly a mix of hope and fear and snark and indignation. She’s so relatable. Anne of Green Gables is one of my all-time favorite heroines. So is Annie Lennox from the Secret Garden. Lone girls wandering old houses and being oddballs are my favorite thing. What do comics mean to you? Similarly, what does animation mean to you as a means of expression? Comics are the storytelling medium that is most closely tied to my identity as an artist. I’ve always been someone who like to draw, and someone who has difficulty expression myself in words, and someone who learns in pictures. So comics taught me a lot, and were a always a solace in confusing times. Animation, too has been a strong influence on my life. I don’t know if this is a good thing, but animated characters were always easier for my to connect with and relate to. Have big dreams for yourself but also don’t expect to take the shortest path to your goal–your path will be winding and confusing, sometimes going backwards, sometimes stalled. Find joy in the journey. Hatch plans with friends and connect with people through your art, build yourself a community of people who delight and inspire you. All of this is absolutely gorgeous! I just keep discovering more and more creators from this project. I’m definitely gonna be watching for Rebecca Mock now!